Belief in magic and particularly the power of witchcraft was once a deep and enduring presence in popular culture; people created and concealed many objects to protect themselves from harmful magic. Detailed are the principal forms of magical house protection in Britain and beyond from the fourteenth century to the present day. Witch-bottles, dried cats, horse skulls, written charms, protection marks and concealed shoes were all used widely as methods of repelling, diverting or trapping negative energies. Many of these practices and symbols can be found around the globe, demonstrating the universal nature of efforts by people to protect themselves from witchcraft. 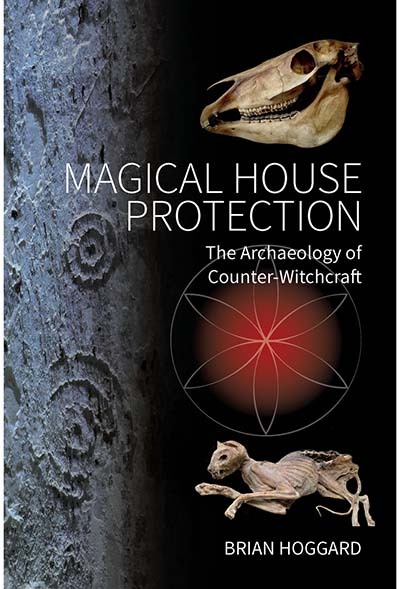 Brian Hoggard is an independent researcher who has been studying the archaeology of magical house protection for many years. He has a popular website at www.apotropaios.co.uk through which he receives reports and requests for advice about these objects from all over the world.